Do you ever wish to save a video you see on your iphone? Download the best iPhone video Apps download which support formats AVI, MPEG, WMV, MOV, RM, DivX, DVD, VOB, Youtube, Limewire. How handy it can be able to download the video to show to your friends or transfer it to your computer for editing. This video downloader must be easy to use with clear instructions for the user and this app fits the bill. It has a full featured browser very much similar to safari to find the videos of your dreams. The one touch download feature is a blessing for the user who just wants to get things done promptly. Video Download Browser will play the video in the background while downloading. A lovely feature for music videos. Common video formats supported are mov, mp4, m4v and the important m3u8. Airplay works as well. Very convenient. This lightweight iDownloader app has all the powerful features you need. In addition to videos, it will download music, photos, documents and anything else your heart desires. 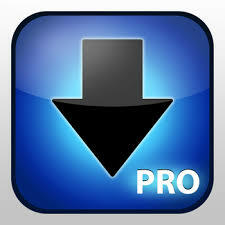 Just tap and hold on a link and presto the file will be added to your software download list. Add all the files you want to the download list as this little engine can handle anything you throw at it. When a download finishes, attaching the file to an email is fun and a wonderful feature for you. Best Video Downloader is a forward thinking app which will alter your video viewing for the better. Support for the m3u8 live streaming format will allow you to capture that show, lecture or sermon you didn’t think was possible. Now you can rewatch streaming video without the lag or extra data charges. Its search engine is built right into the user interface. This is genius. It can bookmark your favorite sites and downloads continue even after you close the app. Outstanding. Make a play list and put it in on shuffle or repeat and use the sleep timer, too. A favorite feature of mine is the player can adjust the speed of the video playback. Very useful to learn music or take notes. What sets Video Downloader Pro apart is the function to parse html to find the video files embedded on a website. This is a most desirable feature when you are confronted with a page with many videos and you want them all or to just pick and choose the videos you want to download. This app puts a download button in your browser when a video begins to play. Very nice. This can save your file to the camera roll. Yes. VDownloader will save your video so you can watch it again and again without the awful ads and distracting captions that youtube and others add to their videos. Say goodbye forever to buffering and queuing with this beautiful selection. What a relief it is. All the major video websites like Youtube, Facebook, Metacafe, Dailymotion and all the others are supported. All it takes is one simple tap. There you have it. These five choices represent the best video downloaders for your iPhone or iPad. Excellent options for you to try out and find the one that is best for you. Good luck and long life to you and your family.